Sheriff Harder joined the Broome County Sheriff’s Office in 1964. He was Broome County’s first Warrant Officer, as well as the County’s first Narcotics Officer. Before being elected to the Office of Sheriff in 1998, he was a Sheriff’s Detective for over 25 years and attained the rank of Detective Sergeant. Sheriff Harder, in conjunction with the Division of Criminal Justice Services, has been instrumental in developing and implementing numerous statewide reporting procedures such as the Standardized Incident Report, the Standardized Arrest Report, and the Standardized Domestic Incident Report. Sheriff Harder served in the United States Marine Corps Reserve in the 48th Rifle Company. He is a graduate of Binghamton North High. Sheriff Harder has served on the Statewide Criminal Justice Data Dictionary committee for over 10 years. He serves on the Executive Committee for the Boy Scouts of America, Baden-Powell Council and also serves as a member of: Serving the Elderly through Project Planning, Inc. (SEPP, Inc.). In 2002, Governor Pataki appointed him to the New York State Arson Board. In 2011, Sheriff Harder received the Community Service Award from the Center for Donation and Transplant of the New York and Vermont region. He is a past recipient of the New York State Sheriffs’ Association’s Carl F. Draxler Award and has been honored several times by the American Legion as the State, County and Local Policeman of the Year. 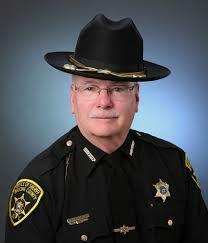 Sheriff Harder is a lifelong resident of Conklin, NY.